Uuni Pro or Roccbox- Which one is better? Uuni Pro is one of the best pizza ovens out there and considering its price point, Roccbox seems pretty close to the same price range, so we thought why not compare these two pizza ovens in this post. Both the pizza ovens have some considerable amount of fan following and honestly, they are pretty good pizza ovens. The ovens have some amazing design and features that make them stand out. So, if you have been confused about which oven is a better investment then read this post where we compare the features of both the pizza ovens so that you can take a better decision. Uuni Pro has a really nice metallic design and the overall pizza oven is specifically designed in a way that it reaches the ideal temperature needed to cook pizzas as fast as it possibly can. The inside of the pizza oven is pretty spacious which means you can cook some really large size pizzas without any issues. The Uuni Pro has a minimalistic design and gives you an overall metallic feel which makes it look subtle. The oven is simple with its design and packed with a ton of feature which you would discover as you read along the review. The Roccbox, on the other hand, is colorful and you can get it in two colors green and grey. The outer surface of the pizza oven is green in color which looks pretty nice. The oven has three legs so it can sit stably on any countertop. 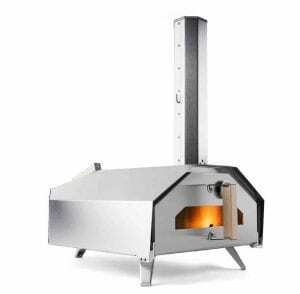 Both are outdoor pizza ovens, so if you are planning to get an indoor pizza oven then you should definitely look at some electric pizza ovens that we have reviewed. Coming back to the design of the Uuni Pro and the Roccbox, the Uuni Pro is more simplistic and has a slightly better design in comparison to the Roccbox. The Uuni Pro has a nice letterbox style door that lets you easily slide in and slide out the pizza. The Uuni Pro is a multi-fuel pizza oven, so you can burn charcoal, wood, wood pellets and gas in order to get the pizza oven started. 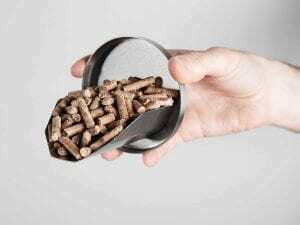 The pizza oven has a charcoal and wood burner by default and in the case, you plan on using wood pellets, you can get a pellet burner for the oven as well. The company plans to later introduce a gas burner so once that is out, you can get it for the Uuni Pro and install it for faster cooking. 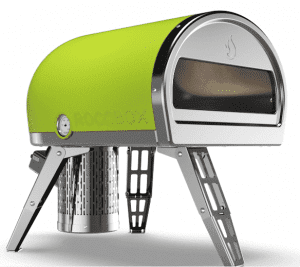 The Roccbox is a wood-fueled and gas-fueled pizza oven. So, you choose if you want the smoky wood taste in your pizza or if you want to just cook your pizzas at some really high temperatures without wasting any time take you usually need to burn the wood. Both the pizza ovens ahve more than one fuel options but if you look at the different choices, then the Uuni Pro definitely comes with more cooking fuel options than the Roccbox. Uuni is known for cooking a pizza in less than 60 seconds and Uuni Pro does pass the test. You can easily cook a pizza in under 60 seconds once the oven has reached around 500-degree Celsius which is like the optimal cooking temperature. The maximum size of pizza that you can cook inside this oven is 16 inches. So, you can easily cook up a family sized pizza inside the oven. Uuni Pro can cook other dishes as well and the list is not just limited to pizzas. You can roast meat, cook vegetable and even bake bread with the Uuni Pro. Overall this Pizza oven is amazing with some incredibly fast cooking times. The Roccbox takes slightly longer but yes, you can cook pizzas in just 1-2 minutes with this pizza oven which is pretty decent. The Roccbox can cook pizzas up to 12 inches and the cooking space is narrower in comparison to the Uuni Pro. The Uuni Pro oven weighs around 24 kgs and you can carry in in its bag but you might want to travel in your car to take it to another place as it is not that easy to walk around with it. You can transport it easily but it may not be convenient to carry it around. The Roccbox is slightly better that way as it weighs only 20 kgs which is lighter than the Uuni Pro but even then if you want to take it to your friend’s place, you need to transport it in your car as it is not that easy to carry around like the Uuni 3. The Pizza ovens are not portable but are transportable and you can easily take them with you on camping trips or family picnics. These are some of the best wood-fired, energy efficient pizza ovens that would cook you the best Neapolitan style pizzas. Uuni Pro Oven is pretty large in comparsion to the Uuni 3, making it a better option when it comes to cooking dishes other than just pizzas. You can easily cook anything in a 12-inch skillet inside the oven. The Uuni Pro cooks pizzas perfectly with the bottom being crisp and nicely golden brown to charred. The toppings come out cooked perfectly with the gooey cheese making it the perfect pizza. However, the taste might be a little different if you use a gas burner but overall cooking in this oven is really fast because it reaches high temperatures and retains them inside the oven. 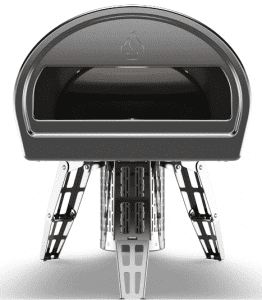 Coming to the Roccbox Pizza Oven, the inside cooking space is not as spacious as the Uuni Pro. The Pizzas do get cooked perfectly and honestly, they almost were the same. However, the Ooni Pro is definitely at an advantage since you can cook more dishes inside the pizza oven in comparison to the Roccbox. The Uuni Pro definitely cooks faster than the Roccbox Oven. So with this small comparison post where we have compared all the basic features of both the pizza ovens, you can see that there are a few more features that the Uuni Pro has to offer in comparison to the Roccbox. The Roccbox has one added advantage and that is it comes with a lot of tools and attachments in the box. You are not going to find that in the case of Uuni Pro, you get the basic things that you need with the Uuni Pro and the rest might be something you have to get additionally. However, Uuni Pro has a much larger cooking space and is more versatile when it comes to fuel options and even the type of dishes that you can cook inside this pizza oven. So, both the pizza ovens have their own pros and cons, choose the oven that best suits your needs. If you are interested in just cooking pizzas and roasting meat for a family then you can go with the Roccbox but if you want to go all out with the size then the Uuni Pro is a better investment. Overall, we loved the Uuni Pro slightly better just that the gas attachment has to be released by the company and then this oven is complete. You should definitely check out both the pizza ovens and let us know what you think in the comments! 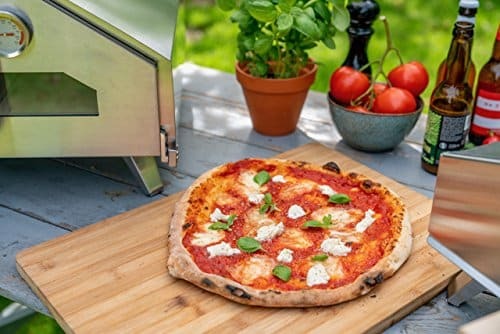 If you have any experience with any of the two pizza oven that is the Uuni Pro or Roccbox then leave your experiences in the comments below!